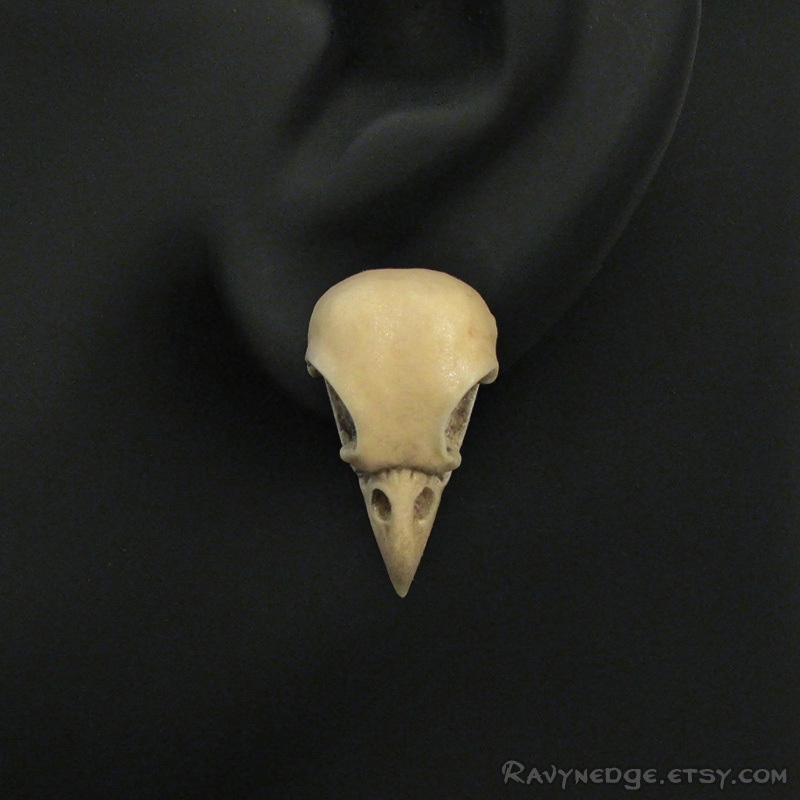 Nevermore Earrings - Raven Skull Post Earrings by RavynEdge. 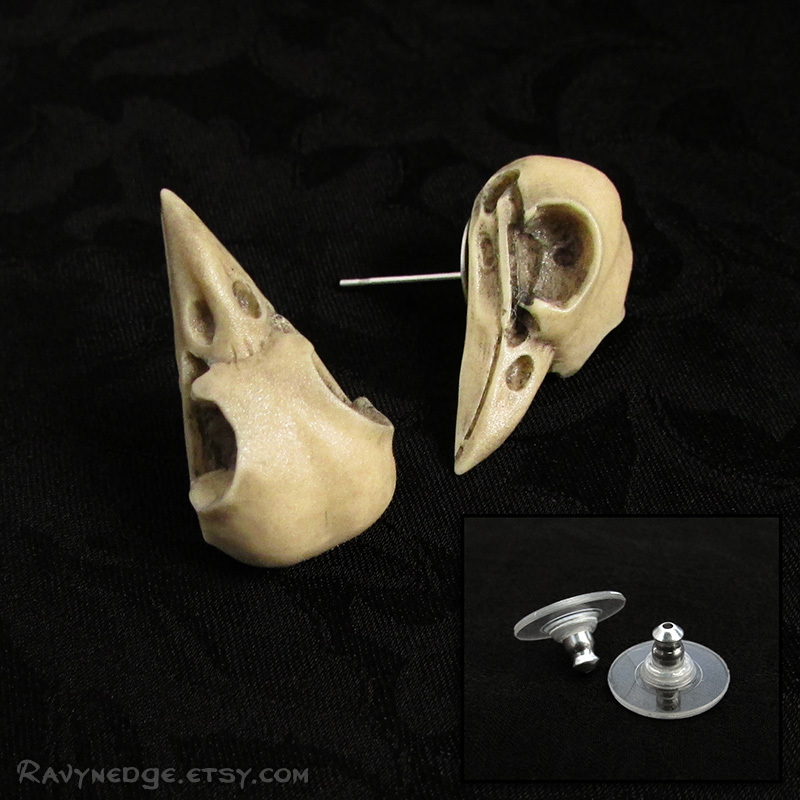 This pair of earrings features eye catching resin bird skulls set on surgical steel posts. 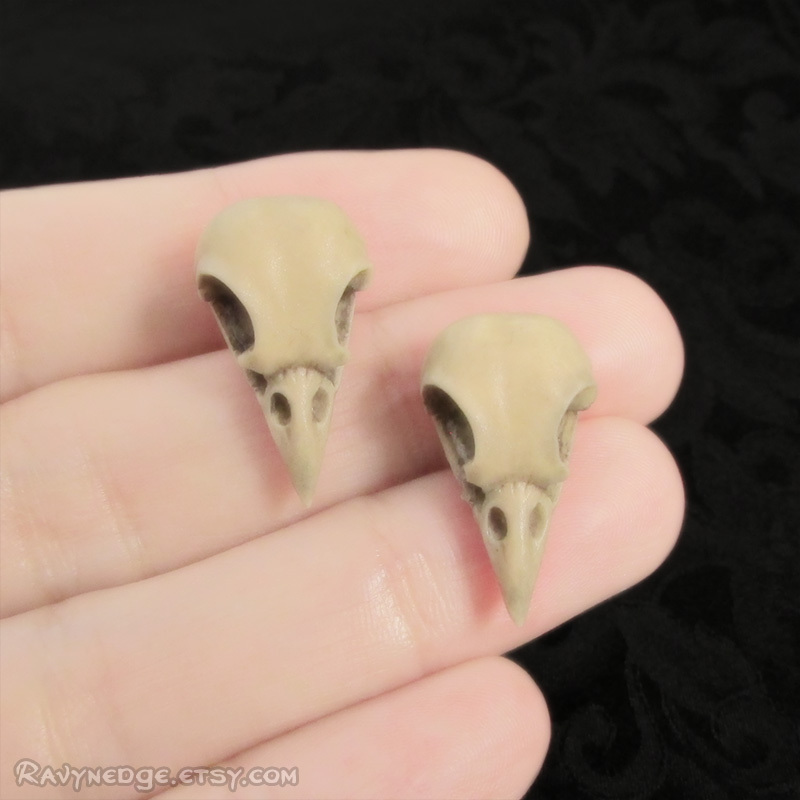 I hand painted each of the skull replicas to give the appearance of aged bone and bring out the amazing details. Measures approximately 21x12mm and fastens securely to your ear with a hypoallergenic earring clutch with plastic stabilizer disc. 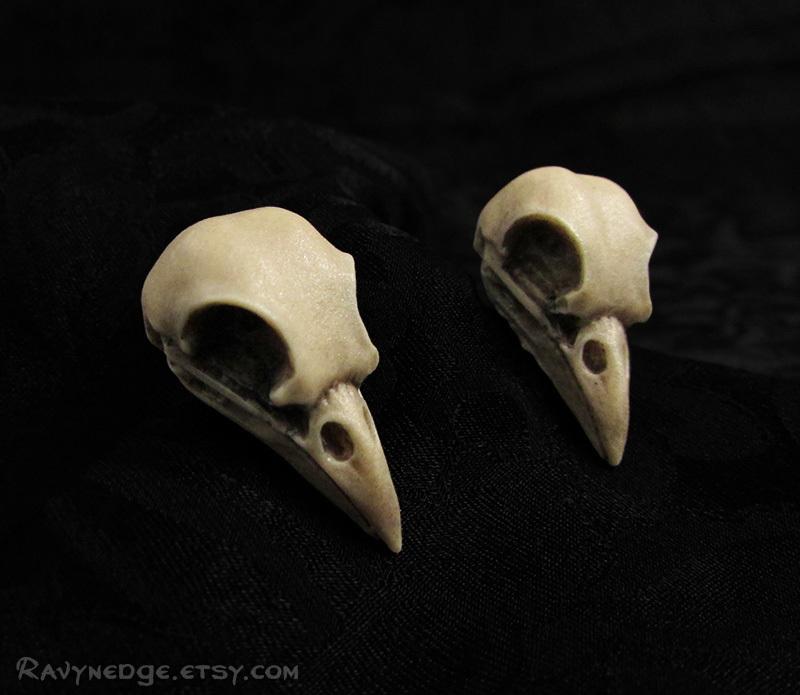 The earrings you will receive are brand new and have never been worn.